Doppio Zero Pizzeria is located at the edge of Mountain View’s Castro Street. My Italian friend recommended this place for dinner as it’s as close to authentic Italian pizza as one can get in this area. We arrived around 5:30pm and immediately there were a lot of people eating outside. That, I felt, was a good sign that Doppio Zero is legit. 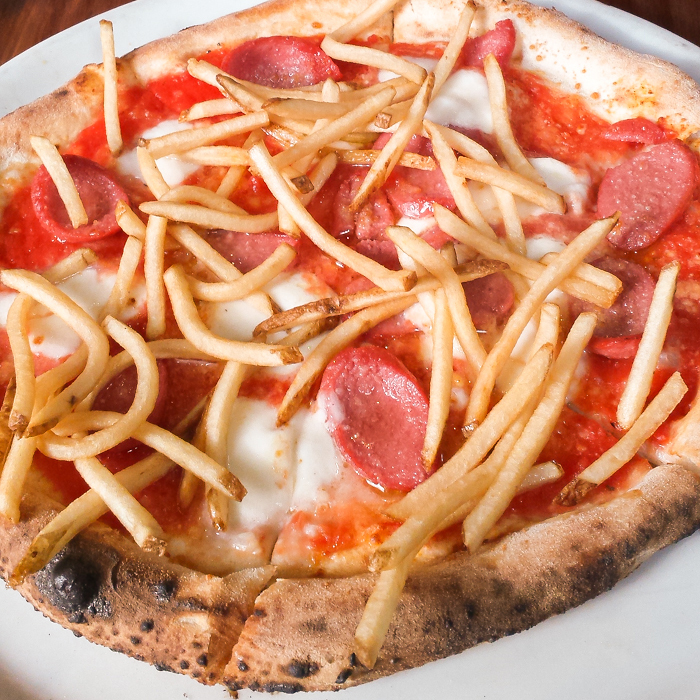 There are so many tempting choices, but I ordered the Patatina because it has french fries as one of its toppings. I felt so fat and unhealthy when our server placed the pizza in front of me, but I could not deny the utter harmony of flavors when I took a bite of the first slice. The fries have a crispy exterior with a fluffy interior. The mozzarella and sauce balances out the saltiness of the sausage. The thin crust has a decent coating of olive oil underneath and it’s neither too chewy or too crispy. I recommend eating the pizza with fork and knife because the crust is very thin. For dessert, I ordered the Panna Cotta since my Italian friend said that it’s one of the more authentic desserts on the menu. It’s incredibly creamy and not too sweet. 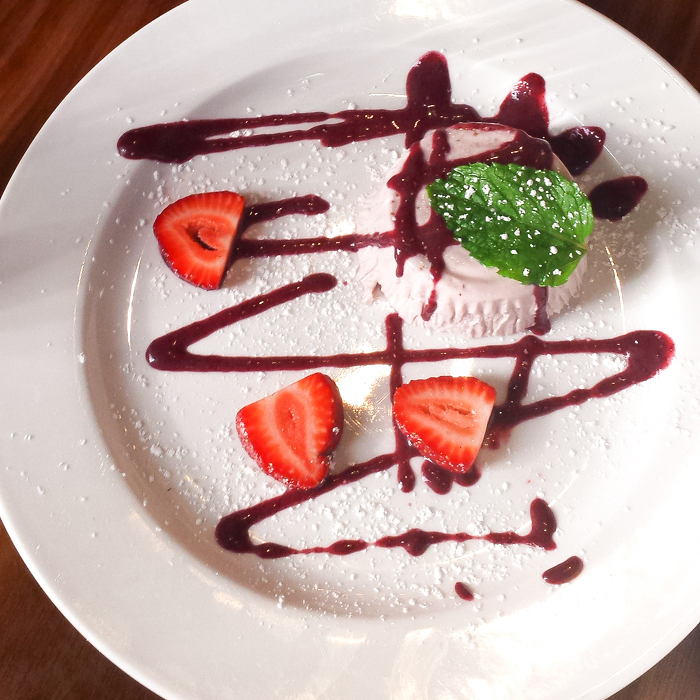 I could not taste the berry flavor unless I scooped a bit of panna cotta with the berry sauce. The strawberries are absolutely sweet and delicious. Watch me gain 20 pounds because I’m definitely planning to return to Doppio Zero and eat everything on the menu.